hey, folks! 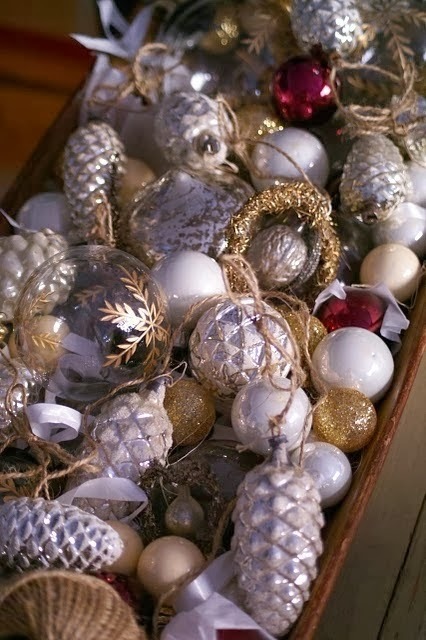 it's Friday and it just happens to be a "festive" Friday! 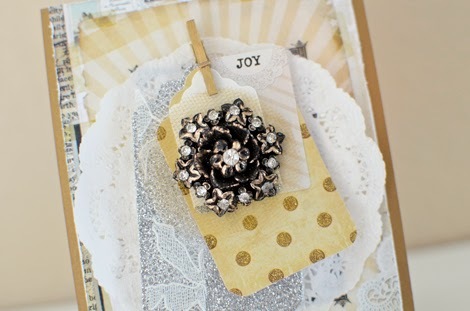 i loved the inspiration photo for this challenge--it prompted this idea of something antique, even tarnished, and very vintage-looking. i was really thinking of German glass glitter which is meant to tarnish as it gets older, but of course i don't have any so i had to use what i've got. luckily, my sister recently gave me some very ornate vintage buttons. the one i chose for my card looks like an antique brooch or costume jewelry, but it actually is a button--and it was perfect! the background paper and the "JOY" sticker are from the My Mind's Eye All Is Bright line, while the gold polka dot tag is from Crate's DIY Shop. for something a bit different, i used shimmery gold card stock from Paper Source as my card base. i actually made another card first, but as sometimes happens, you get out all kinds of different products as the idea is coming together. when i was happy with the first card, i started playing around with the second card and then found the vintage button--and once i found the button, sadly, it was all over for the first card. when i had the second card put together, i liked it a lot better for the challenge. but since i do love the first card for other reasons, i'll still show it to you. 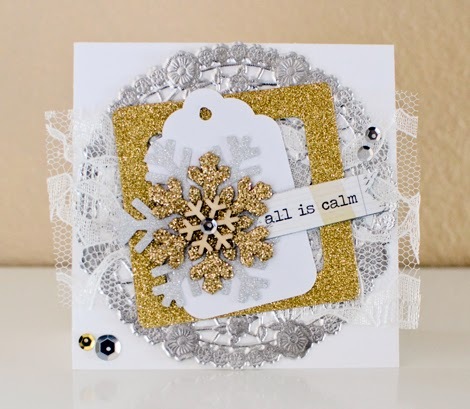 some of the same elements can be found on both cards--the silver and gold, glitter, lace bits. but this is really a totally different card. 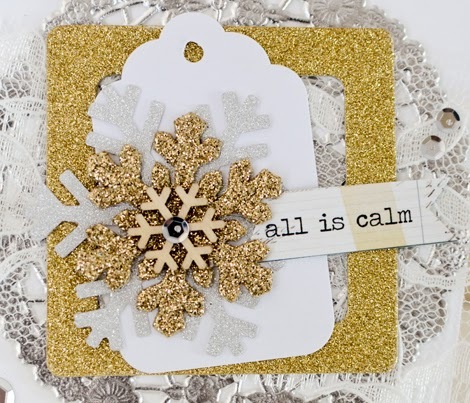 the "all is calm" sentiment is a snippet from the All Is Bright 6x6 paper pad (which is where the idea for the second card started to form). 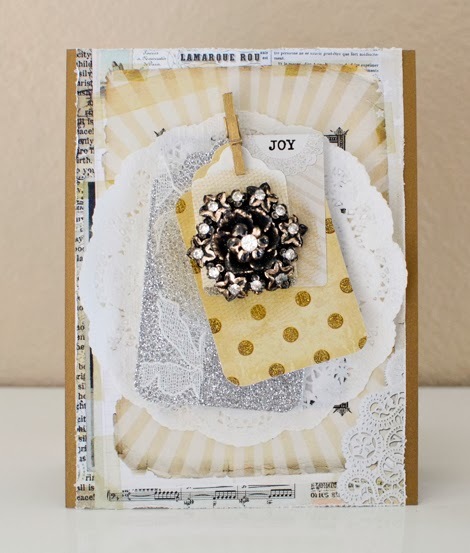 i love how both cards have so much texture on them--when you've got a lot of texture, it's not always necessary to pile a lot of other products on top of it--unless you want to, of course! i hope i see some of you playing along with this challenge! you can find all the details and inspiration from the rest of the DT here. as for me, i'll be back this weekend with some lovely Valentines!